The Andrews Labor Government is helping Nightingale Housing replicate its model for environmentally and socially-sustainable housing developments in Victoria. Minister for Energy, Environment and Climate change Lily D’Ambrosio announced today that Nightingale Housing will receive a $100,000 grant – one of the first to be..
Victorians affected by power outages due to extreme heat on Sunday 28 January will be compensated with one-off payments of up to $180 by the end of February. Electricity network businesses Powercor, CitiPower, United Energy, Ausnet Services and Jemena will provide a $5 million package..
A new wind farm in Western Victoria will power more than 20,000 households as part of a jobs boom in Western Victoria with six projects underway or proposed in the area. These include Stockyard Hill, Lal Lal, Moorabool, Dundonnell, Murra Warra and the Bulgana Green.. The Andrews Labor Government is helping more businesses reduce business costs and avoid energy waste – with the 50th Victorian business awarded an Energy Assessment Grant. Hallam based manufacturer Planex has been awarded more than $47,000 to undertake an energy assessment and to implement gas efficiency.. The Andrews Labor Government will build a major new wind farm with battery storage in Western Victoria that will power the expansion of Stawell’s Nectar Farms. This project will make the advanced agriculture facility the world’s first ever crop farm to be completely powered by.. 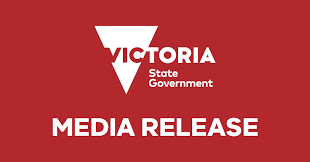 The Andrews Labor Government will invest $30 million to help Victoria’s farmers manage energy costs through improved efficiency and new technology. Minister for Agriculture Jaala Pulford visited Boomaroo Nurseries in Lara today to launch the new Agriculture Energy Investment Plan. The plan will help local..